The Maxkold low temperature Evaporator model comes with defrost heaters. These Maxkold Evaporators have pre installed heat exchanges and pre fitted R404a Danfoss expansions valves. R404a Danfoss expansions valves pre fitted. If you have any pre-sales questions, please call us on 01752 894 777. These Evaporator units are available to buy online direct from us and delivery is generally next working day from the UK. 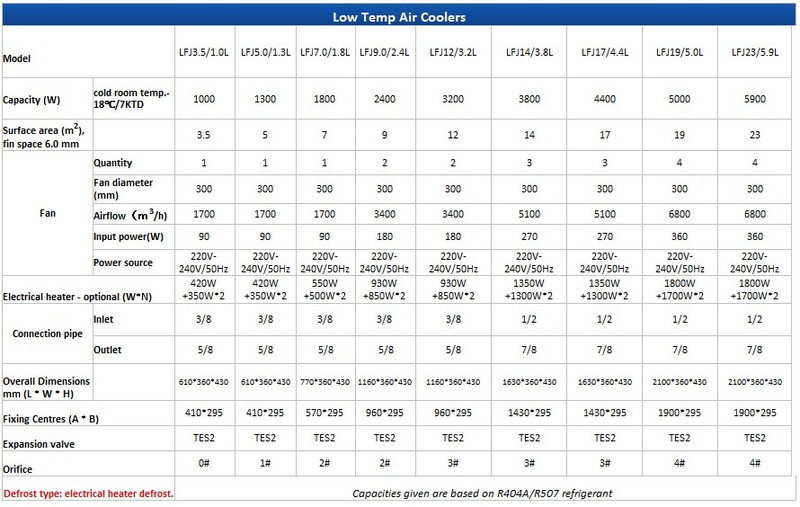 Technical Data for Maxkold low temperature model with defrost heaters.